Sidney Jones is a go Monday night against the Redskins. • CB Avonte Maddox: Maddox's injury looked more serious when it occurred than it actually is, but he'll still likely miss some time. • LB Jordan Hicks: This is perhaps a weird take, but Hicks' absence might not be the worst thing for the Eagles, as they'll get a chance to see how Kamu Grugier-Hill and Nate Gerry look with more snaps and more responsibilities. 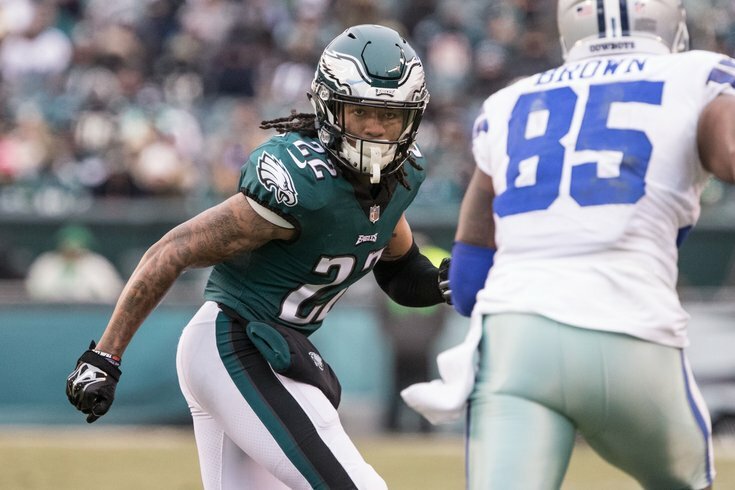 Hicks is a free agent this offseason, and the Eagles will have to make a decision on how important he is to the team, and how much they're willing to spend to keep him. How Nigel Bradham, Grugier-Hill, and Gerry play with Hicks away could be part of that puzzle. • OG Chance Warmack: The Eagles have a number of players coming back from injury on defense who may not yet be 100 percent, so they need as many bodies as possible on that side of the ball. As such, the Eagles will roll with seven offensive linemen. • OT Jordan Mailata: Mailata is back down again with the Eagles getting healthier. • OT/OG Matt Pryor: Pryor's streak of being on the inactive list every week stays alive. The three players of note are Quinn (slot receiver and returner), Dunbar (starting corner), and Ionnidis (good rotational defensive lineman).